Memorable sections and individual highlights featured throughout. 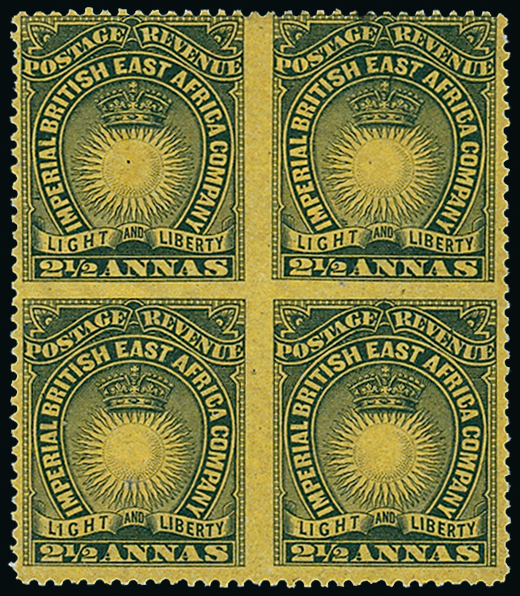 A recently discovered and newly listed variety from the British East Africa 1890-95 issue, a mint block of four of the 21/2a. black on yellow-buff imperforate between both horizontally and vertically (lot 1326, left) proved very popular, climbing to £7,688. This was a sale not to be missed for collectors of the Middle East, presenting as it did the remarkable collection of British Levant formed by Richard Malim. This extensive specialised presentation contained much challenging material and the strong response from fellow collectors was well deserved. The late Cecil H Clough collection of Antigua and an exceptional collection of Empire War Tax issues also combined to make the auction memorable for British West Indies specialists. 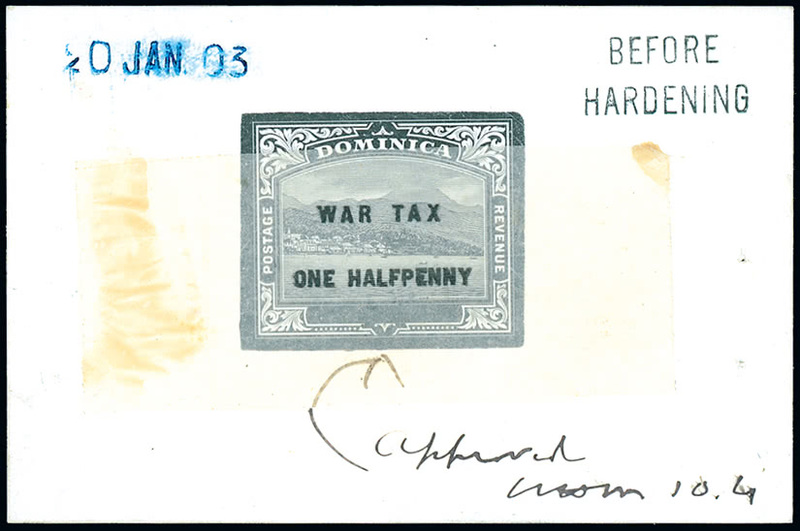 The characterful Dominica De La Rue die proof with added 1916 “WAR TAX/ONE HALFPENNY” essay overprint printed on overlay (lot 1033) achieved £893 whilst an unmounted mint corner marginal plate block of six of the Jamaica “WAR/STAMP” 1/2d. (lot 1280), one with variety “R” inserted by hand (S.G. 70c), rose to £1,116. 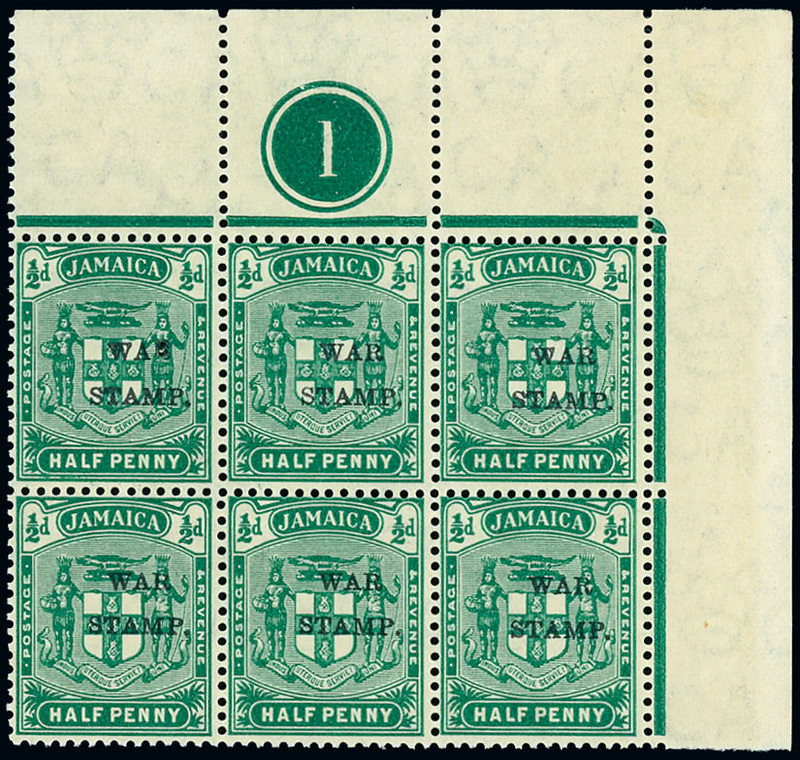 Only fourteen examples of the British Guiana 1938-52 4c. pair imperf. between (lot 485, left) exist and the £21,000 realisation for this handsome King George VI rarity was therefore no surprise. 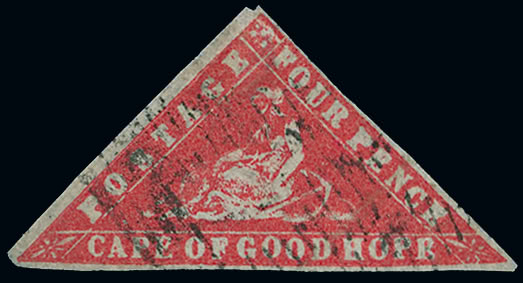 A similarly reliable seller, the Cape of Good Hope ‘Woodblock’ 4d. carmine error of colour (lot 1832) achieved a solid £9,792, this being a most attractive example of this classic variety despite the “various faults” recorded on its B.P.A. certificate. 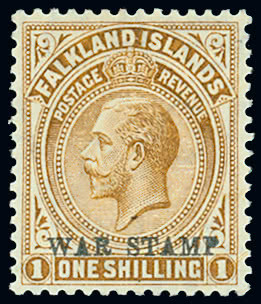 Elsewhere, a mint example of the Falkland Islands “WAR STAMP” 1s. 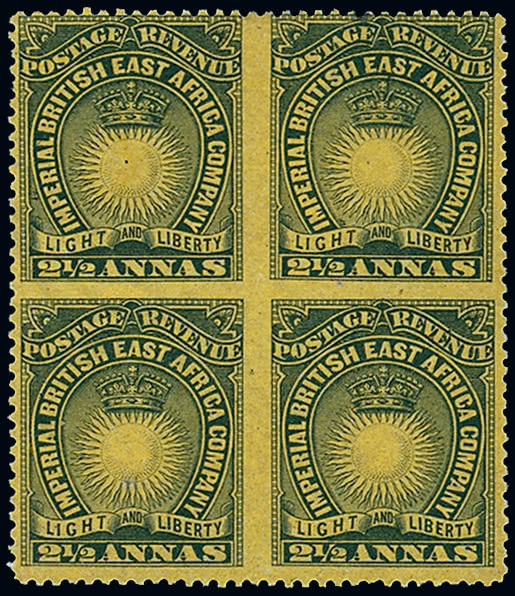 showing overprint double, one albino (lot 1072) realised £2,640, eclipsing its Stanley Gibbons catalogue price (S.G. 72ab, cat. £2,250). 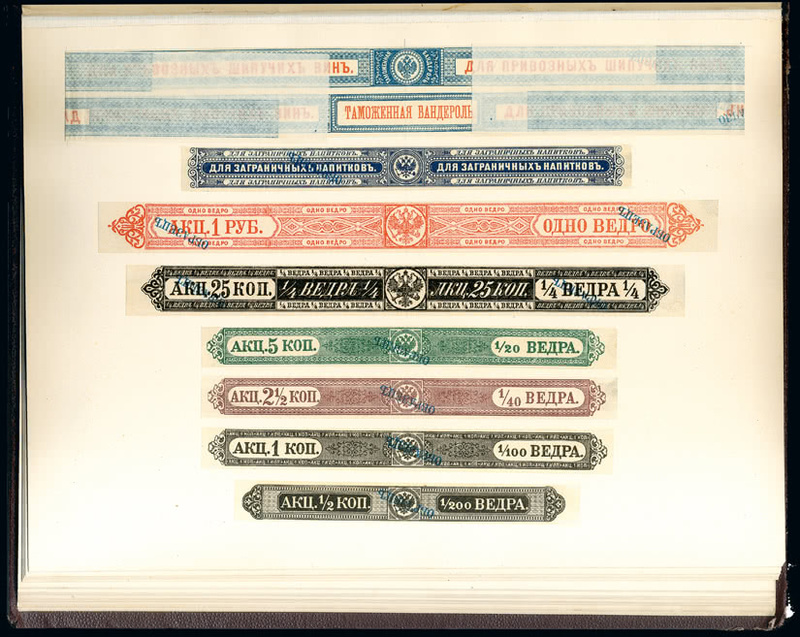 A most unusual offering of Russian Revenues attracted great attention, the star price achieved in this section being the £6,600 paid for an extraordinary bound archive book from the St. Petersburg State Printing Works, containing a handsome range of rare “SPECIMEN” handstamped issues (lot 1720). The sudden loss of Professor Iain Stevenson earlier this year was a major blow to the hobby and the subsequent arrival at auction of the widely diverse areas of his collection is attracting great interest. The Stevenson collection of Tonga was typically worthy, containing many whimsical inclusions as well as important rarities. 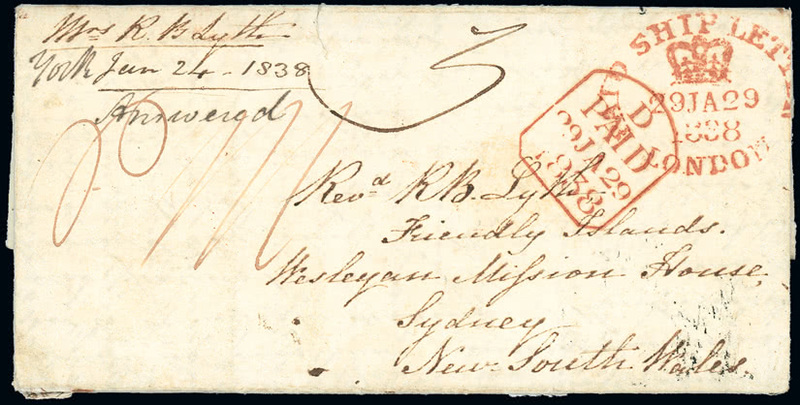 These included an exceptionally early inward letter to the islands, stated to be the earliest (lot 1919), addressed to the missionary Rev. Richard Burdsall Lyth in 1838, which was driven by determined bidding to a final price of £2,520. This sale provided a firm rebuttal to those who predict a rapid downturn to stamp prices due to declining collector numbers. An auction such as this, attracting international interest, casts a wide net. Material of merit, whether due to its rarity or quality, continues to draw great interest and strong competition.